The 2nd Grade English subject of RPSC is going to be examined this morning. RPSC had released the information of senior teacher recruitment some time ago. 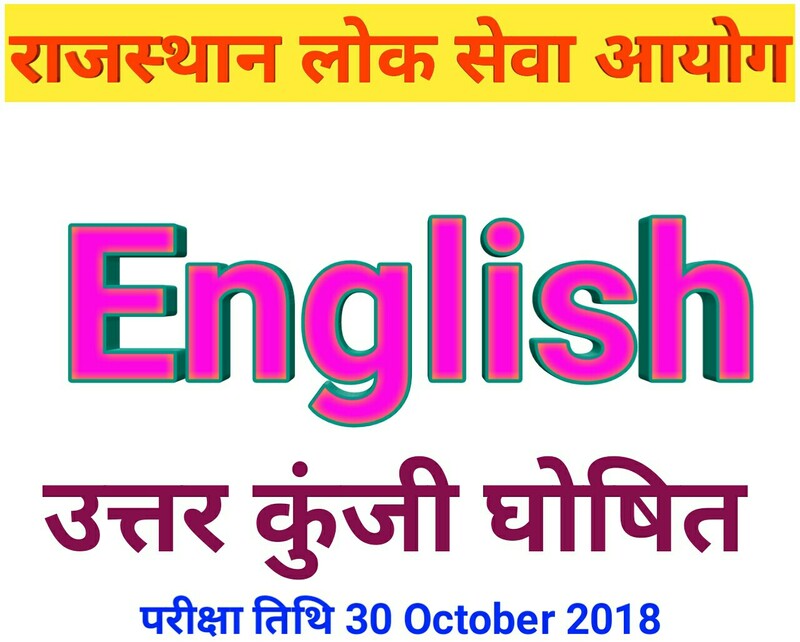 In which 9000 posts were to be recruited and there were some posts of English subjects, the subject has been examined on 30th October 2018. Was there no ruckus on the examination center. Examination is done in line with RPSC rules. RPSC Second Grade English Answer key is issued by Parishkar Coaching in the evening. They will upload the entire PDF file on the same site. Even when the recruitment had taken place, a large number of candidates had been admitted to the Mission Coaching Institute and it was also decided that the answer would be given after the completion of the exam, hence the day has come and Rajasthan Second Grade Examination English Answer Key. In this post, we said that the Senior Teacher Recruitment which was derived from the Rajasthan Public Service Commission, the examination of all candidates of English subjects has been completed on October 30, 2018. Here the 2nd Grade English Answer Key key PDF is uploaded by the official website. It has been created by coaching institutes.